In the world of business leadership, there is much effort given to building and maintaining momentum. Momentum is the underlying force that creates stronger morale among employees and customers and makes everyone involved feel excitement and anticipation. In business, marketers try to create momentum around a new product or promotion. CEOs and presidents try to create momentum around a new vision or campaign. Management tries to create momentum around a new person, new assignment, or new department being added. In the world of ministry leadership, particularly church-based leadership, the same effort is given to building and maintaining organizational and organic momentum. The key for gaining organizational and organic momentum is seeing it as a real goal to actively strive toward. Most pastoral leaders want to build momentum philosophically, but it is not really something that shows up on their week-to-week radar. They want momentum to build toward their larger vision for transformation and growth, but they are not doing anything intentional to make it happen. And for that reason, months come and months go and really nothing is gained. So how do you build momentum on a week-by-week basis in ministry leadership? 1. Tell lots of success stories. Sharing the small victories over and over publicly in worship, in printed materials, on the church website, in small groups, in staff meetings, in leadership circles, wherever, whenever, with whomever you can. You must keep telling the success stories. No one will care, or even notice, if you don’t. And when you start feeling like a broken record, you are not done. Total submersion is the goal. 2. Recast the vision over and over. Along with sharing small victories, you have to keep casting the vision of growth, change, renovation, renewal, and revitalization. 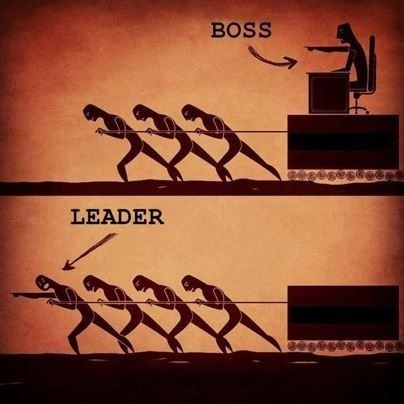 To be a leader, you must take people to a place they would not go by themselves. We all know Rick Warren’s axiom that vision must be cast every 28 days. I am starting to believe it needs to be every 7-10 days in this culture. You don’t have to cast all parts or every aspect of the vision all the time, but momentum is built when the larger body sees how this particular piece fits in with where things are moving and going. 3. Give other people room to excel and then praise them publicly for it. Momentum is a shared experience. In other words, momentum begets more momentum. When one of your teammates does something well, shout it from the rooftops. Give them room to succeed and then cheer lead for them. Cheer lead especially for the ones that often get overlooked like landscaping and maintenance, senior adult groups, benevolence, children’s ministry leaders, and the fellowship committees. 4. Capitalize on the seasons of newness in the annual calendar. There are several times a year when momentum can be built as a natural out-flow from the calendar. Fall is perfect because of the start of school. January is also strong with the new year. I personally like the 90 day push of February-March-April because it has huge exclamation point at the end – Resurrection. If you capitalize on these seasons, you will find momentum easier to gain. 5. Lastly, don’t be afraid to be happy about what is happening. Let your emotions show. We all know there is a proper place for humility and recognition that all good gifts (including momentum) come from the Lord. But you must let your people see that you are excited. That you are sense a building anticipation. That you see things happening and are so thrilled to be part of a move of God. There is nothing wrong with being joyful that you are not in a dead church going nowhere fast, but God has been so gracious to plant you in a living church that is on the move. Momentum is a one of those fleeting things that is hard to come by and even harder to sustain. Here today, gone tomorrow is a very suitable cliché. But when you do build momentum organizationally and organically, I encourage you to pour gas on the fire because it might be a while before it burns this hot again.